In term of financial performance, ANTAM returns to booked net profit in 2016. 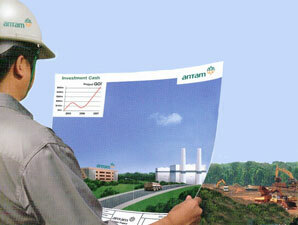 According to PT Aneka Tambang (Persero) Tbk Annual Report 2016 as cited by JobsCDC.com, ANTAM booked total net profit of Rp64.81 billion in 2016, compared to net loss of Rp1.44 trillion recorded in 2015. Referring to its annual report, the Company's total net sales was down 13.53% at from Rp10.53 trillion in 2015 to Rp9.10 trillion in 2016. Minimum background in Bachelor Degree (S1) majoring in Electrical Engineering with minimum GPA score of 2.75 (scale 4.00). Fluent in English both oral and written. Minimum 3 years of experience in the field of PLTU Construction. Never involved in drug abuse and other law violations. Willing to be relocated in all Unit / Business Unit / Subsidiary PT ANTAM (Persero) Tbk. JobsCDC.com now available on android device. Download now on Google Play here. Please be aware of recruitment fraud. The entire stage of this selection process is free of charge. PT Aneka Tambang (Persero) Tbk - Recruitment QA QC Specialist ANTAM May 2017 will never ask for fees or upfront payments for any purposes during the recruitment process such as transportation and accommodation.